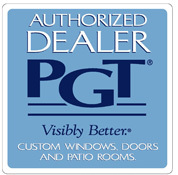 Premier Glass & Screen Eze-Breeze Porch Enclosures, Sunrooms, Glass and More! Premier Glass & Screen, Inc. has been offering Eastern Shore homeowners the very best in quality outdoor vinyl products and customer service for over two decades. 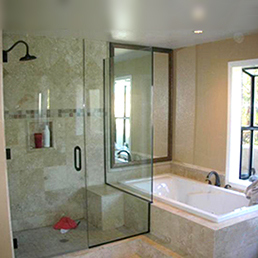 Whether you are purchasing a porch enclosure, sunroom, 3 season room, 4 season room, patios, railing, vinyl railing, vinyl fencing, tub shower, shower enclosure, new or replacement windows for your home, store or office, or any of the many glass and vinyl products that we will custom build and install, you can always be assured of our no questions asked 100% satisfaction guarantee. Located in Frankford, DE we are able to bring our vast array of products and services to residential and commercial property owners just about anywhere on the Eastern Shores of Delaware, Maryland, Virginia, including Fenwick Island, Bethany Beach, Rehoboth Beach, Lewes, Seaford, Dover, Wilmington, Ocean City, Ocean Pines, Berlin, Worcester County, Salisbury, Wicomico County, Dorchester County, Somerset County, Talbot County, MD, Princess Anne County, Easton, MD, Chincoteague and Accomac, VA as well as all of Delmarva. Since 1990, we have become well known all over the region for our strong work ethic, performance and dedication to customer service. Most of our highly qualified staff has been with us for years and years and they are the primary reason why we are now one of Delmarva's fastest growing and most reliable home improvement companies. Unbeatable Service before and after a Quality Installation for the entire Lower Eastern Shore! Since the early nineties, Premier Glass & Screen, Inc. has become a much more diversified company with separate divisions that can do much more than our name sometimes indicates. Our award winning Premier Porch and Patio division has been designing, building and installing Sunrooms and Porch enclosures for almost 20 years. It has been also been recognized by PGT® Industries as Dealer of the Year and has received their Gold Winner of Excellence in Partnership Award. Over the years, we have also become well known by word of mouth by both homeowners and local contractors throughout the coastal resort areas for our total commitment to "service after the sale." And while we are always ready stand by our quality, workmanship, and attention to detail, it is our reliability and professional approach to insuring customer satisfaction that has become our trademark up and down the Delmarva Peninsula. Unbeatable Service and Quality Installation for the entire Lower Eastern Shore. We can help you turn your primary home or seasonal resort home into your own personal dream home. 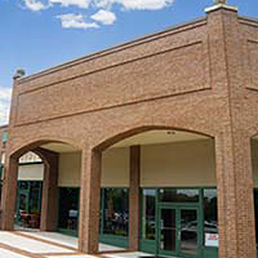 With our conveniently centralized location in Frankford, DE we are able to bring our vast array of products and services to residential and commercial property owners just about anywhere on the Eastern Shores of Delaware, Maryland and Virginia. 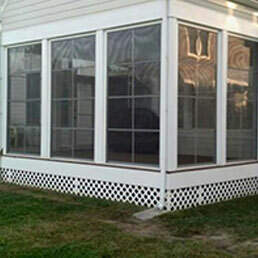 We have installed sunrooms, porch enclosures, mirrors or other glass products in Sussex County, Kent County and New Castle in Delaware including Fenwick Island, Bethany Beach, Rehoboth Beach, Lewes, Long Neck, Milford, Milton, Millsboro, Georgetown, Dagsboro, Frankford, Selbyville, Roxana, Millville, Ocean View, Gumboro, Delmar, Laurel, Seaford, and Bridgeville, plus Dover, Smyrna Harrington, and Wilmington. We have also have assisted hundreds of other clients with screens and windows from the nearby towns and communities of Ocean City, Ocean Pines, Berlin, Snow Hill, Pocomoke and Bishopville in Worcester County and satisfied customers from Hebron to Salisbury and Fruitland in Wicomico County. Other areas on the Delmarva Peninsula where we continue to help people design, build and work on their home improvement projects like tub and shower enclosures in Dorchester County, Somerset County and Talbot County, MD, Princess Anne, Crisfield, Westover, Mardela, Mardela Springs, Nanticoke, Vienna, Cambridge, Denton, Queenstown and Easton, MD, as well as from Chincoteague and Accomac, VA.